It's time to buy your next car. But should you sell your current car yourself, or trade it in? If you are in it for the money, the answer is probably selling it. If it's convenience you seek, trading it in to the dealership is your best bet and we can help lay out the steps to that. 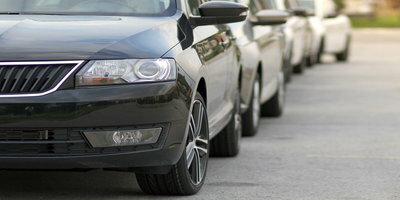 A trade-in is when a consumer swaps their current car in exchange for credit toward buying their next vehicle from a dealer. While you may be able to make more money selling the car on your own, you'll find that trading it in is usually less of a hassle. 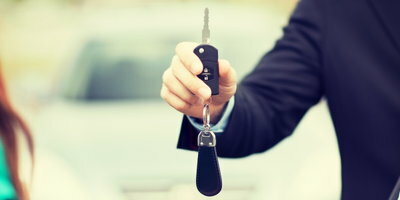 The first step in the process is knowing what your vehicle is worth. There are several online tools available for free that can give you a rough appraisal. You can try Kelley Blue Book, Edmunds, or NADA for starters. Print out the results and keep them for later so you can figure out if you're being offered a reasonable price. Make sure that you accurately identify your car's options and are honest about its current condition or else you may have the wrong idea about your car's value. Many experts have differing opinions when it comes to this step. Some will say that cosmetic upgrades and repairs can greatly improve a trade-in's value. Others say that it won't change the value much because dealers can fix flaws for less than you can. Still, all agree that cleaning it up inside and out is the way to go. Our advice: Give the exterior and interior a good cleaning, and fix anything crucial. You don't have to buy any expensive cleaning chemicals, waste your money getting the car detailed or a new paint job, or spring for new tires. Have your vehicle appraised by more than one dealership so you can compare offers. Three or four different places should do. Make sure at least one sells the brand of the car you are trading in, too. Call up the used-car manager at the dealerships to set up an appraisal appointment. Bring maintenance records if you have them and the printed value of your vehicle from your research in step one. You can try to negotiate on your trade-in price, but keep in mind that a dealership's mindset is different than a private buyer's. They need to know if they can make their money back and if they can do it quickly enough to make it worthwhile. If you have a similar offer from two dealerships, it will probably be easiest to go with the one where you intend to buy your next car. 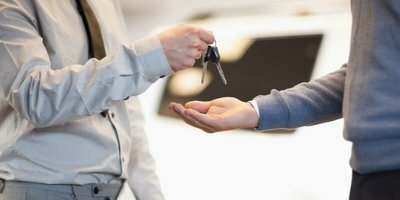 The experts at Edmunds also recommend that you keep negotiations for your next car purchase and your trade-in separate. Think You Deserve More Money for Your Trade-In? If you think that the offers you are receiving are too low, there are a few options. For starters, you could keep it if you've got the room for it. You never know when it might come in handy. Or, you can try to sell the vehicle privately. It involves more leg work, but it could pay off financially in the end. This is especially true for older or high-mileage vehicles. If you still aren't satisfied, you can see if donating your car would be worth your while. You can also try to sell your vehicle at a dealership like CarMax. Many of these types of retailers offer free appraisals. For example, CarMax will appraise your vehicle and give you an offer in writing that's good for seven days. Or, you may simply need to lower your expectations. The trade-in price you're offered at a dealership can vary depending on many factors. These include its condition, that dealer's current inventory, the car's chance of selling, where you live and more. 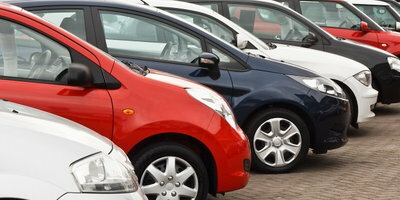 It's possible that the offers you are receiving are simply the current market value of the car. If you've read up on the steps to trading in a car, you're probably ready to find a dealership. 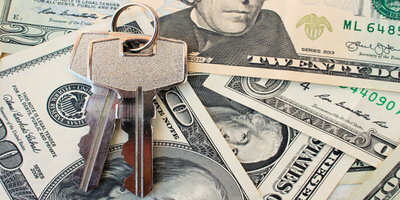 But if you are dealing with damaged credit, you might not know where to begin. Luckily, Auto Credit Express does. Our free service will quickly identify a dealer in your area that specializes in working with unique credit situations. You can save yourself the time and trouble it takes finding a dealership on your own that can work with you. To begin the process, all you have to do is fill out our simple and obligation-free online application. Start today!